Having already seen a remix by London DJ Jamie Jones earlier in the year, Pete Tong hit the mixing desk again for his own house-fuelled remix on EJ’s soulful track ‘Mama, I’m Gonna Sing’. The debut track has already made its mark all over the Internet amongst bloggers and tastemakers alike. Pete Tong is renowned across the globe for his sets worldwide, most notably at the clubbing institution, Pacha in Ibiza and he has taken EJ’s soul infused teaser track and has put his own minimal twist on it. With a thumping bass from start to finish mixed with loops of EJ’s vocals layered throughout, the remix could be hitting every dancefloor from London to Ibiza in the coming months. 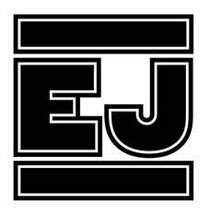 With the original track already being played on 1Xtra, Kiss and Radio 1 and a final remix in the pipeline from Savage Skulls there is a decent amount of hype around EJ already. Lookout for her future anthems ‘Bangers & Mash’ and ‘Supersize’ due later this year.